Friends! 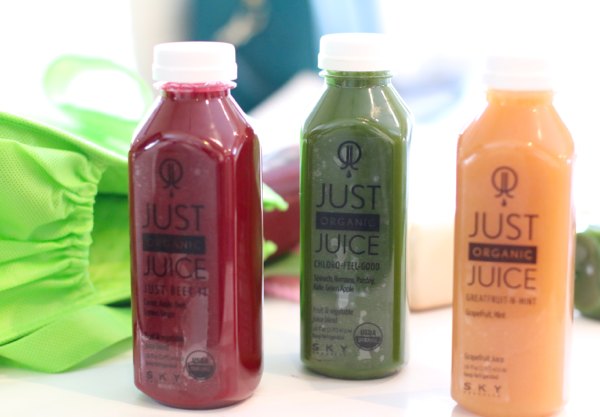 I am so excited to share with you my journey of juicing & have a fun giveaway for one of you! OK, so many it could classify as a journey BUT it was a day for me without actually chewing and that could be considered a journey! IT WAS AMAZING! 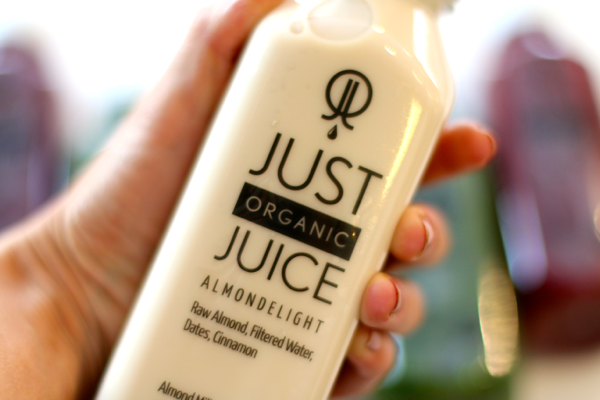 I try my hardest to eat healthy & watch my portions but sometimes it is nice to “recharge” your body and that’s just what I did with the Just Organic Juice Cleanse! Let me tell you a little bit about what the have and then I will go into my experience! 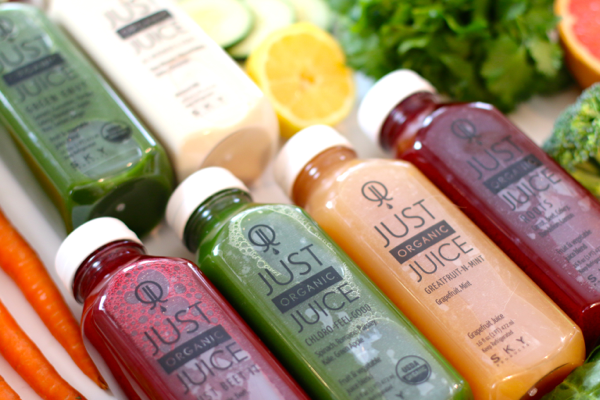 Just Organic Juice uses a method consisting of pressing the fruits & vegetables. This allows the vitamins and minerals to all stay intact and alive (which is what you want) find out more here. They are ALL ORGANIC and CERTIFIED ORGANIC by the USDA! 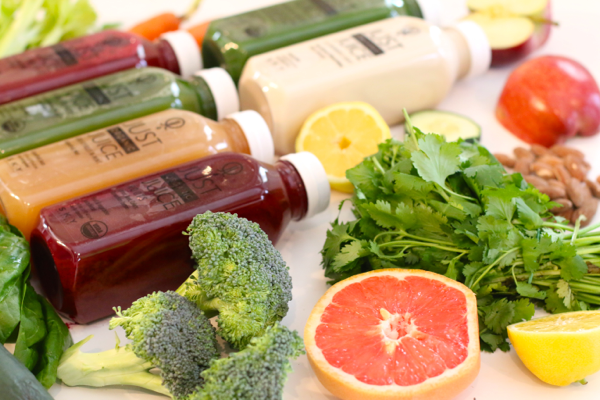 They offer about 20 different juices so there is something for everyone! They also offer 4 different “Bootster” from Ginger, Wheatgrass, Aloe Vera, and E3Live! Last but not least they offer 4 different types of Cleanses & 4 different Bundles! They website is SUPER informative so check it out with more questions you might have! Not to mention they are so sweet in the store and explain absolutely everything to you! Ok, so on to my experience! I was very excited to start this cleanse! I love detoxing my body (which I will do a post on Thursday of how I physically “detox” my body). I did they Hard Boot Cleanse it is their signature cleanse and let me just tell you, IT’S AMAZING! I started with the Green Envy and LOVED IT! If you like green drinks you will adore this one. It was so fresh! By the third drink I was already full! 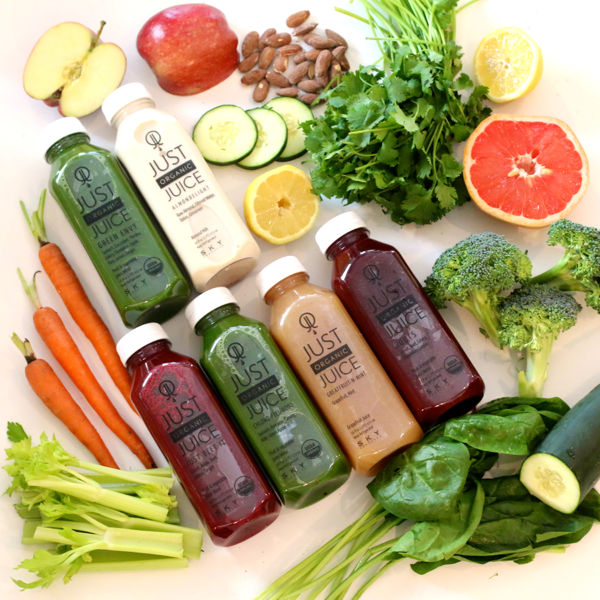 You won’t go hungry on this cleanse and everything is so delicious you don’t feel like you are depriving your body from food (chewing). At night, when I was finished with all the drinks topping them off with Almond Delight (my fav) I almost felt too full to finish it! I had amazing energy and was SO happy with my experience! I loved trying to 1-day to get my foot in the door. This is the first time I have ever juiced all day long but I am excited to keep it up and move on to the 3 & 5 days! 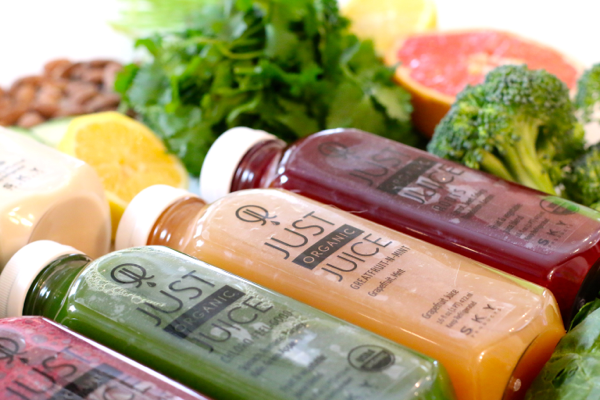 With summer time we are all looking to get our bodies in their best “beach state” Juicing is a wonderful way to do that! If you are working out, eating healthy, and then juicing every no and then on top of it I promise you will feel so comfortable in your body & enjoy this summer more than ever! 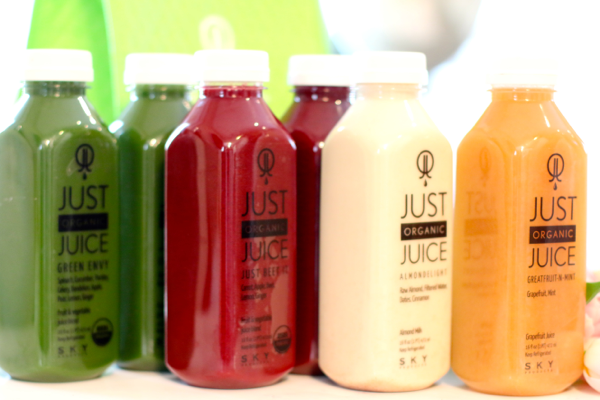 I am excited to share with you guys that Just Organic Juice is giving away a One-Day Cleanse to one of you! Entering is EASY! 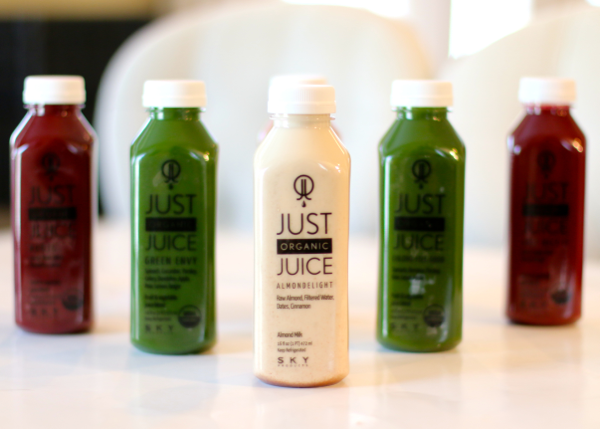 Just make sure you are following me on Instagram @BrittanyMaddux, Follow @JustOrganicJuice, and Tag a friend in the comments! Winner will be announced the morning of April 29th! Best of luck!